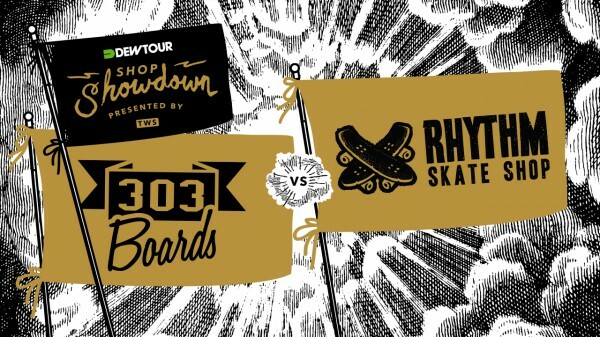 We’ve made it to the final two rounds of the Dew Tour Shop Showdown. With four shops left, this week will determine which two shops end up moving to the final round and winning a trip out to Dew Tour LA where the winning submissions will be played live and voted for. Congrats to all the shops that have made it this far, as well as all the shops who have contributed from the beginning. Today we have 303 Boards vs. Rhythm Skateshop. Check their edits and let us know who you want to see advance by giving them a vote! Voting ends on Tuesday at midnight, so check them out and vote today. Let us know who you choose on Instagram using #DewTourShopShowdown.